Small photo taken in 1940. 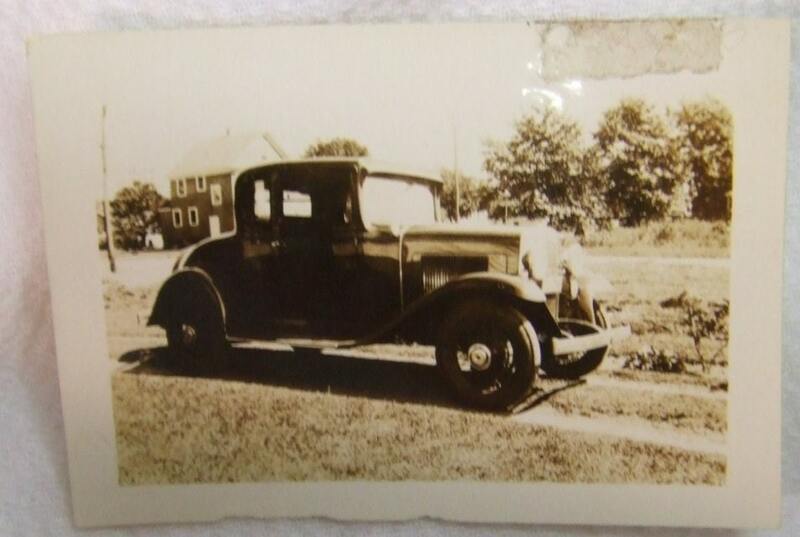 Possibly a 1930 Ford that was the first family car for a young couple? The possibilities are only limited by your imagination. Nice focus and detail. Condition: Very Good, no tears or bend marks, Small tape residue upper right corner. Easily removed..